Hidden Valley is a unique Alpine Resort located next to Elkwater, Alberta. 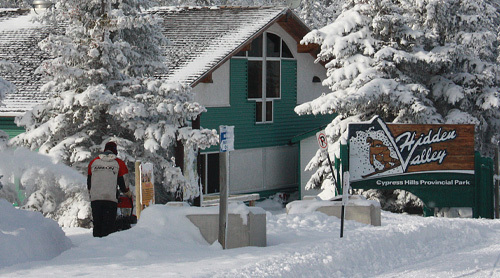 Nestled in the Cypress Hills Provincial Park the resort and is currently operated by Alberta Parks. The montane environment in which it is located provides some stunning vistas looking over the prairies toward the city of Medicine Hat, 65 km to the North West and some 600m below. The townsite of Elkwater contains year round amenities and trails with a Café, Hotel and Restaurants to enjoy. We have an extensive snow making system to assist with nature’s own so snow for your trip is not an issue even if there doesn’t seem much on the Prairies on in the city. Operating Days are Wednesday to Sunday with extended hours during vacation times. Lifts run from 9:30am to 4pm. Hidden Valley Reserves the right to close lifts should temperaturs reach -40 Degrees Celsius with wind chill for public and staff safety. Should this occur during an operational day refunds will be considered on a "part thereof" basis. 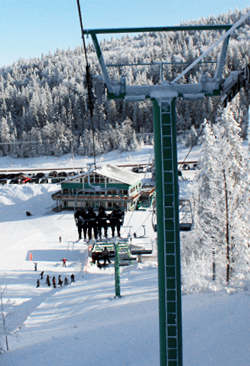 In the event of a partial lift closure refunds will not be considered unless the disruption exceeds 4hrs. When in full operation the resort is open Wednesday to Sunday from 9am to 4:30pm and lifts operating 9:30am to 4pm. Vacation hours may vary as with early season. The operating season typically runs from early December to end of March. 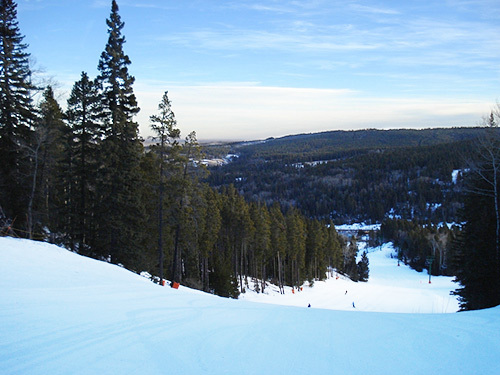 Our Lifts include, Quad Chair, T-Bar, Handle Tow and a Magic Carpet Lift in the beginner area (new in 2010). The combined lift capacity is 2400 skiers per hour. Lift hours of operation: 9:30am to 4:00pm. 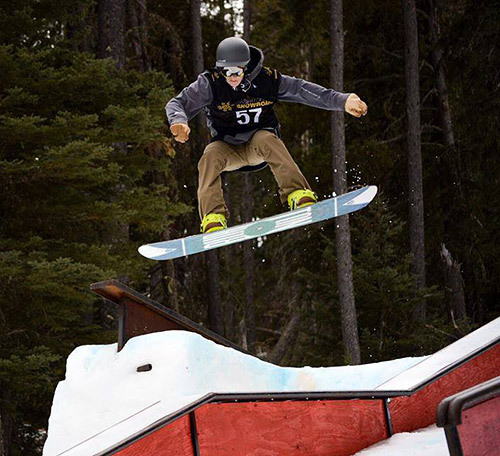 Hidden Valley Terrain Park offers a range of features from rails, boxes, barrel taps and various sizes of jumps. The terrain park is typically re-modelled at least twice per season to give variety and progression for all levels of ability. The Mini Park is great place to start or for our less aggressive riders and sliders to ride the rollers, and hit the jumps. Please be aware of Park Rules and Etiquette before using the parks. Elkwater Ski and Snowboard Club run season long programs for those wishing to learn more and try the competitive side of Freestyle Skiing and Boarding. The Day Lodge is ready to serve you with the Mountain Side Cafe, Snowflake Lounge and Brown Bag Lunch Areas (equipped with lockers). 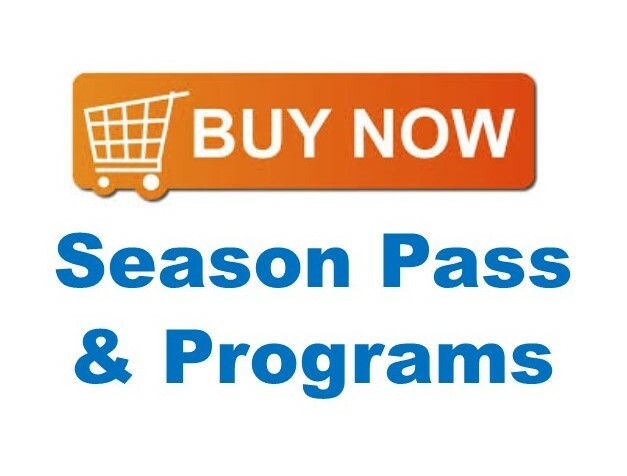 Visit us on the main level for your Tickets Sales and/or Snow School Registration…..we offer beginner lessons for the new skier/snowboarder and advanced lessons for those of you wish to polish their skills! Our Ski and Snowboard Rental Shop handles and services all top of the line ski and snowboard equipment and accessories. The certified technicians will fit and adjust all equipment to suit you. Our rental inventory consists of several complete sets of shaped ski equipment, snowboard equipment and helmets. Also, check out our clothing and accessories in the pro shop. 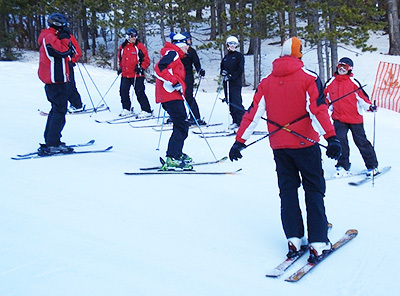 The Ski and Snowboard School instructors are trained and certified by the Canadian Ski Instructors Alliance (CSIA) and Canadian Association of Snowboard Instructors (CASI). We will provide a safe learning environment while offering our students the opportunity to improve sport specific skills through a specific progression. A range of lessons including group, private and inclusive packages are available and we start teaching skiing at age 2 years. Wondering how to become an instructor? 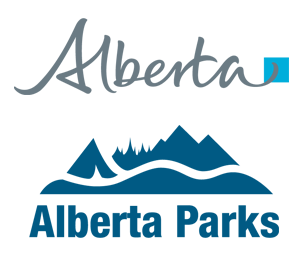 We also run instructor training courses and coaching courses which are great even if it only to increase your personal knowledge and technical know-how. Safety is our first priority for everyone. We hope you never need them but if you do our highly trained, full time patrol is there to assist you in any way. The First Aid is located in the lower level of the Day Lodge. 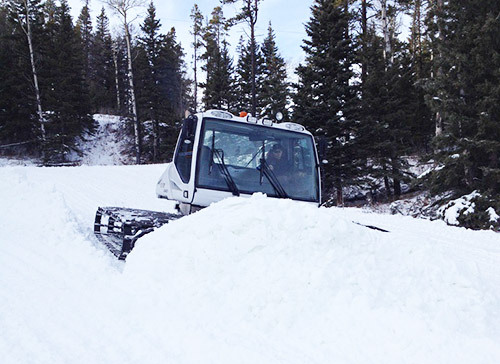 Yes… we make snow. Lots of it! Around 7 million gallons of water are used each winter to provide some of the nice white stuff for you to play on. The addition of two new fan guns since 2014 improves our capacity to get you sliding. 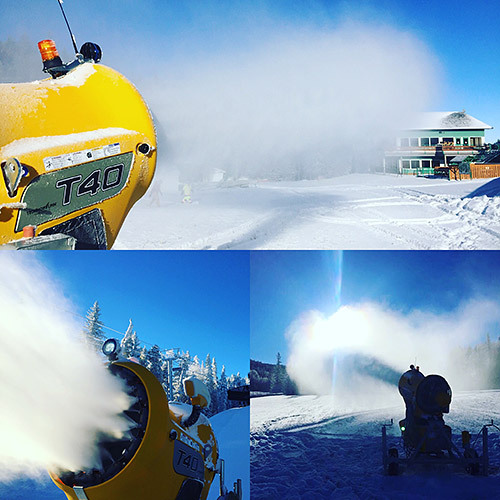 Around 95% of the resort is covered by the snow making team and its quite a science… you should ask how its done.